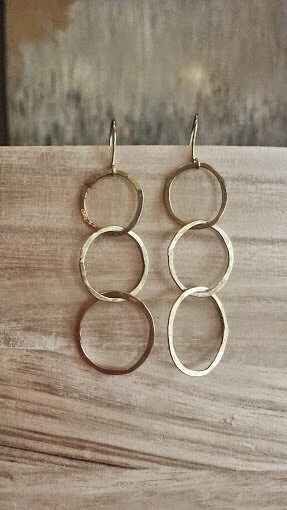 Hammered Brass Rings on a handcrafted brass Nickel free French ear wire. The custom earrings are exactly what I was hoping for. Great communicator, lovely product. I highly recommend! !